Three days before the 82nd annual Academy Awards, Paul Rieckhoff discussed how American soldiers were portrayed in the Oscar-nominated film “The Hurt Locker,” As the founder and Executive Director of the Iraq Afghanistan Veterans of America (IAVA), Rieckhoff has become the voice for those who fought overseas and are now readjusting to a new life stateside. The Luncheon Society sat down with Paul when he was in San Francisco for his third meeting with us in three years, the prior being in Los Angeles and Manhattan. The latter gathering shared with former Slate.com military affairs writer, Phil Carter, who later served during the early months of the Obama White House as the Assistant Secretary Defense for Detainee Affairs. As “The Hurt Locker” tallied up 6 Academy Award after being nominated for 9, you could sense Paul’s frustration grow throughout the evening from comments posted on Facebook; in the final analysis, he believed, the filmmakers did not get Iraq right. Rieckhoff rarely moonlights as a movie critic. However, he leads of the first and largest non-profit organization to support those who have fought in Iraq and Afghanistan. During the recent legislation to overhaul the GI Bill of Rights, Paul and the IAVA performed a pivotal service. They were the human face to the long-needed policy upgrade. Today, the IAVA has over 125,000 members and the organization is critical to those vets coming home. After Rieckhoff returned home in 2004 from his tour in Iraq, where he led hundred of combat patrols throughout Baghdad, he penned a critically acclaimed memoir Chasing Ghosts. 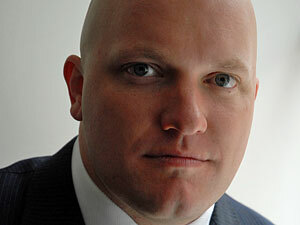 When he could not find an organization that he felt met the need to today’s returning troops, he founded the IAVA. At a Luncheon Society ™ event several years ago, Michael Dukakis talked about walking precincts. He could not understand those who favored high cost television ads or mailings over the elbow grease of building a grassroots operation. He believed that the best way to know the voters was to knock on their doors and ask for their support. 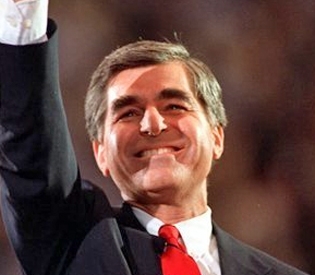 Dukakis insisted that a good grassroots organization could deliver an extra 5% turnout, which could be the difference between a win and a loss. Massachusetts, Dukakis noted, had 2,300 voter precincts and each precinct could have 5 block captains. If you built a volunteer army of 10,000 people, Dukakis noted, you became unbeatable. Those who solely relied on media campaigns and direct mail pieces often discovered their support was often a mile wide and an inch deep. However, one person took issue. He said that California was too big, too much a “media state” and walking precincts was on the wane because there were too many high tech approaches to drive voter contact. Los Angeles was not like Boston or New York, the person continued. LA was 88 communities held together by miles of double-ribbon freeway and at the end of the day, walking all of those neighborhoods was just too hard. The Luncheon Society Regular. Mike Dukakis has joined The Luncheon Society on a regular basis since 1999. In January, he led a discussion in Los Angeles for his 13th appearance and a month later in San Francisco for his 14th visit. In 2010, we hope to get him into Manhattan to visit the third pod of The Luncheon Society.